Don't get me wrong, I love having my family home but by the end of the holidays I'm over it. I've not been Idle though, allow me to share. 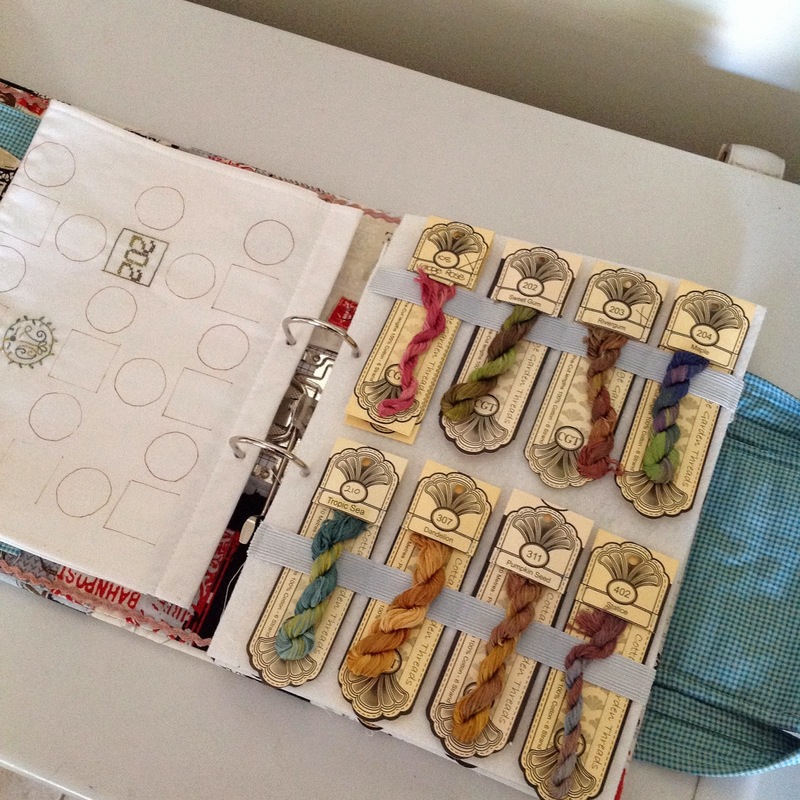 I changed the pages in my Cottage Garden Threads Holder and am much happier now. The pages are also double sided. And I have to say, I HIGHLY RECOMMEND this one. 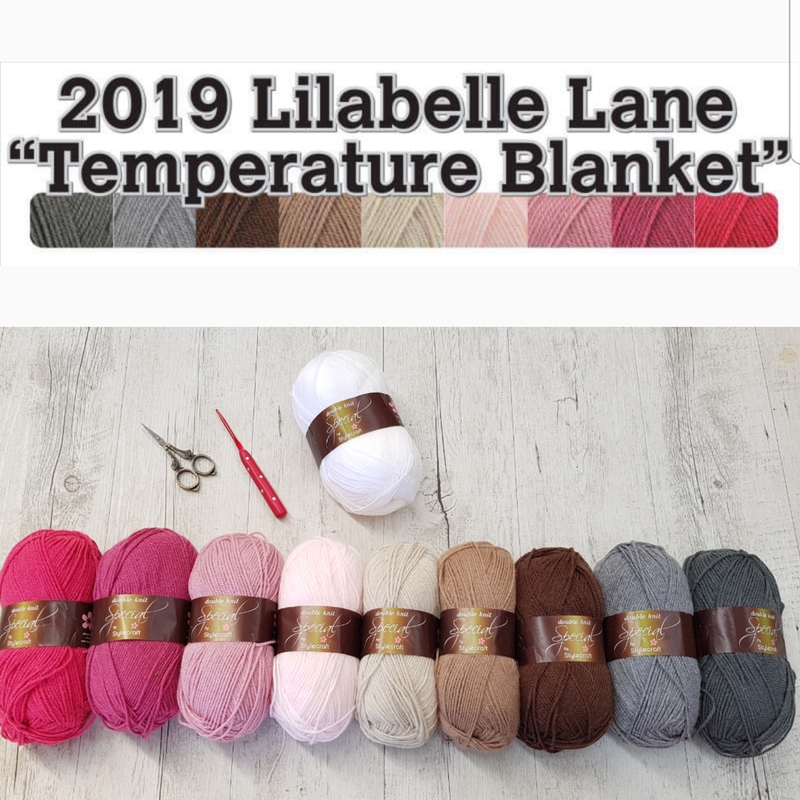 Kate's Blog is here if you would like to take a look. 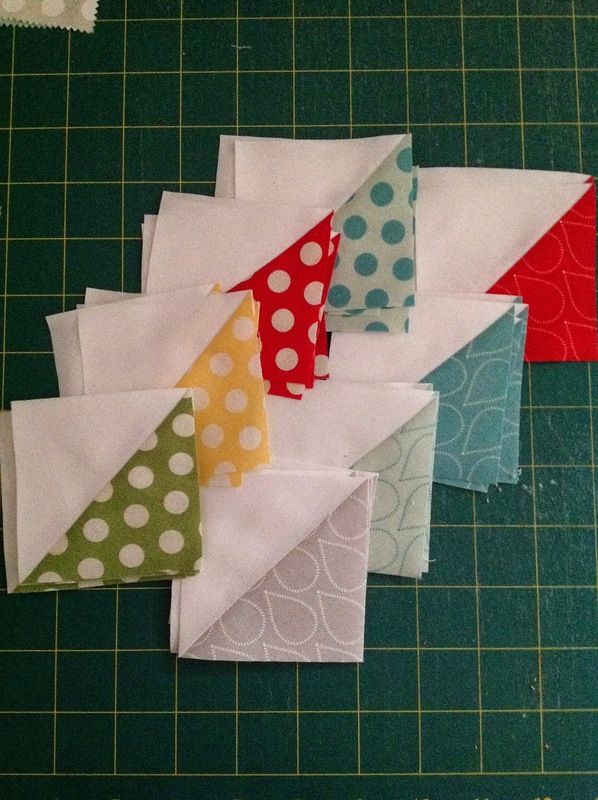 I've made my next two blocks for the Friendship Quilt I'm making with Claire. 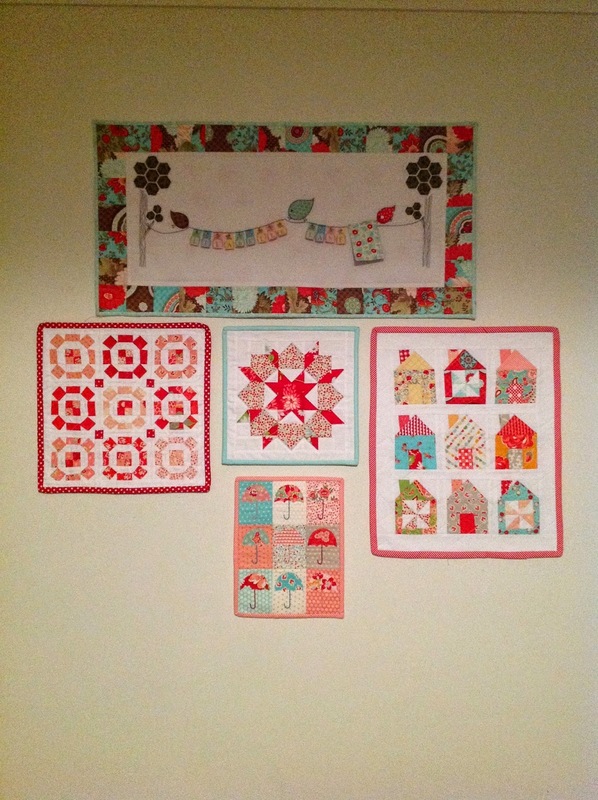 both by Camille over at Thimble Blossoms and made in Bonnie and Camille fabrics. I've split my Minis onto two walls now. One is my Bonnie and Camille wall and the other is my Rainbow wall. Lastly, I have been plodding away at my Sue Spargo BOM. There is a Media Ban on this BOM so this is all I can show you at the moment. 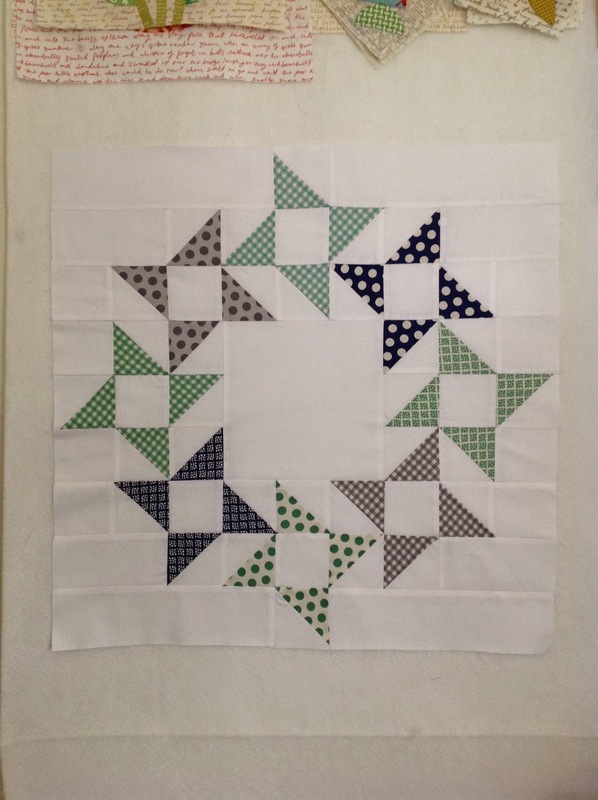 I am keeping up with the block construction but have not dived head first into the embellishing yet. and that you all had a safe and fun filled Easter break. You have been very productive as usual with lots of beautiful projects. Loooove your minis and the little house one is just gorgeous. The thresd folder is a fantastic idea. Better than just sitting in a box like mine are. 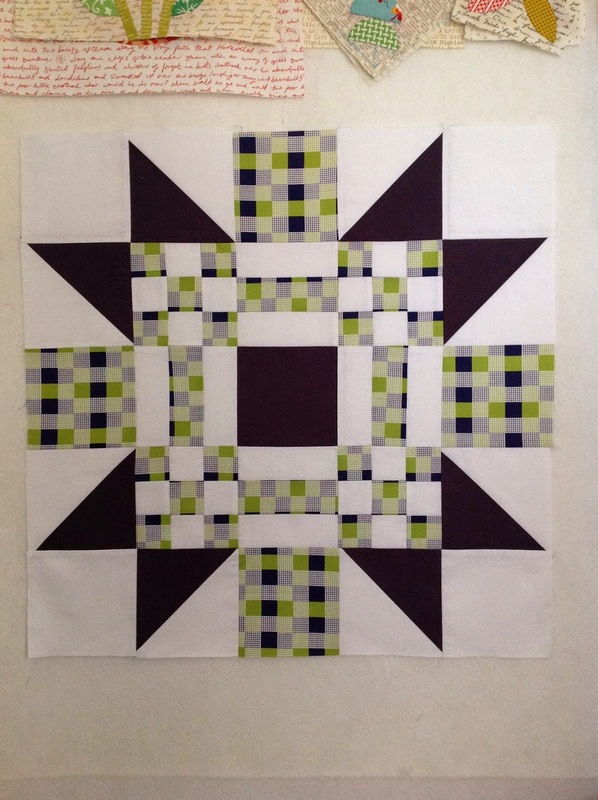 Those blocks are lovely and I was surprised to see you using those darker colours. Variety is tye spice of life they say. The Sue Spargo project is intriguing and is looking good so far. Enjoy your child free zone today. 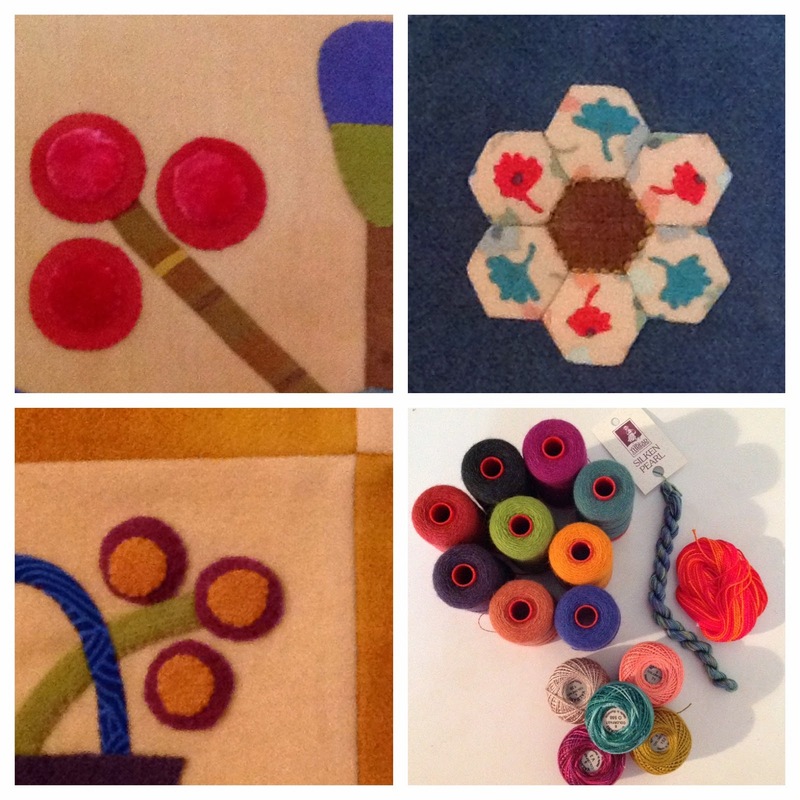 Lots more beautiful goodies coming from your sewing room. Love the mini Dwell - it's fantastic. 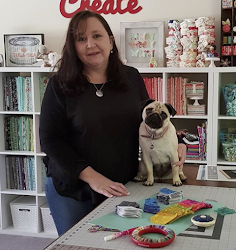 Love seeing your wall of minis and hope to see more of your Sue Spargo project at our next Mill Rosie meet up if it's allowed :) Barb. I used to hate it when school went back because I had to go back to work also! 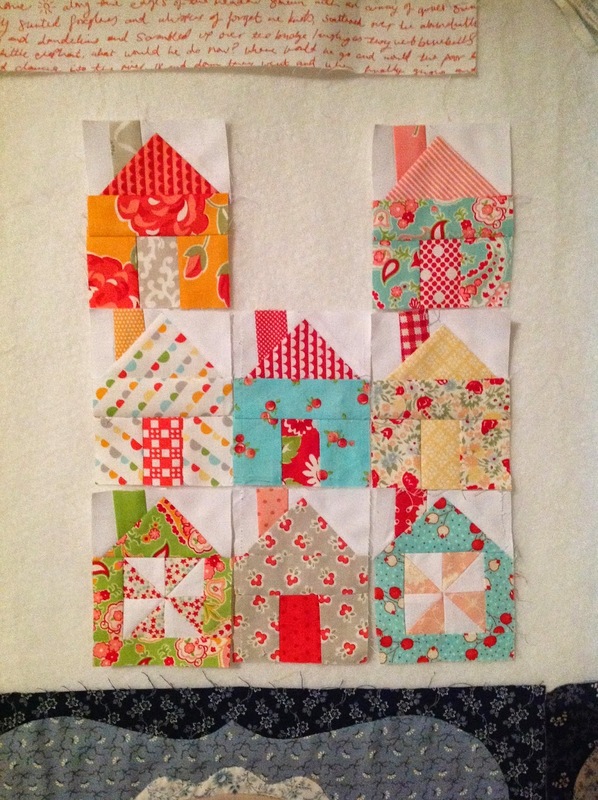 The friendship blocks look lovely. And I like the lovely mini you made. It looks well at home on your wall. 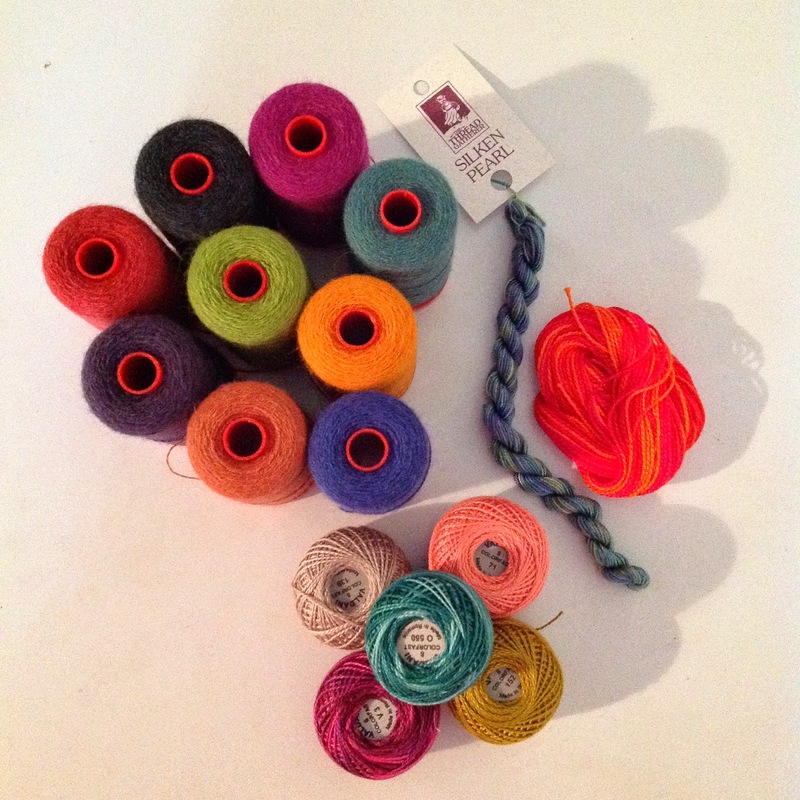 The threads and wools in your BOM look gorgeous. 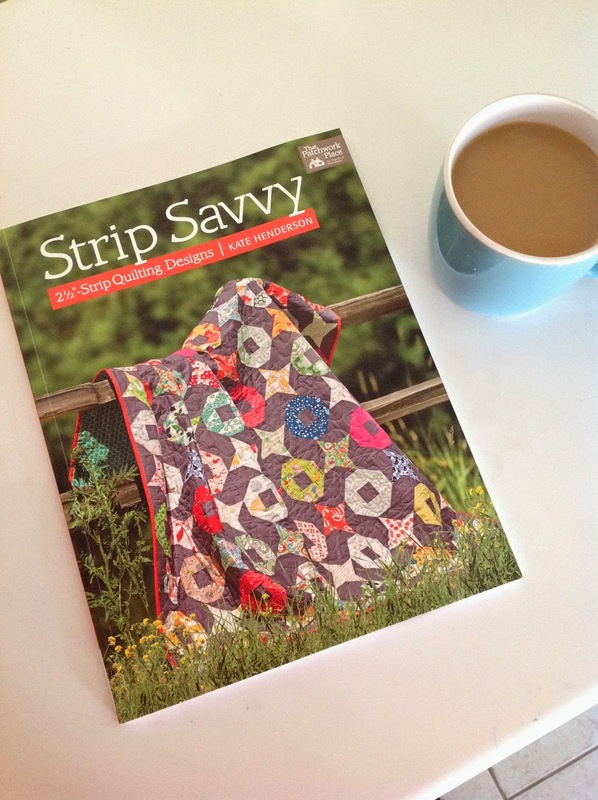 I have been tempted by the Strip Savvy book, so was interested to read your comment about it. You have the most wonderful eye for colour. I adore everything you so.